North Coast Laboratories, Ltd. was founded in 1975. Its primary function was to provide water quality analyses to local municipalities and the timber industry. NCL gradually expanded into a full service environmental laboratory with an international client base and a reputation for expertise in the analysis of difficult and unusual herbicides and pesticides. In 1987, this expertise allowed the laboratory to expand its capabilities to include the analytical portion of agrochemical registration studies. 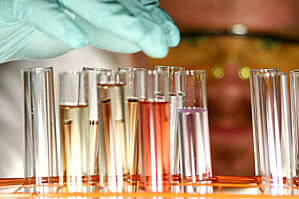 NCL is a fully GLP compliant laboratory. The lab has also developed expertise in analyzing a broad range of organic chemicals in drinking water. NCL provides services to governmental agencies, private and municipal water purveyors, water treatment facilities, timber companies, engineering companies and agrochemical companies. In addition, for the last 40 years, NCL has served the commercial laboratory community with a variety of specialty analyses designed to complement the range of services offered by each individual laboratory. NCL is committed to providing scientifically sound analytical data. The staff is also dedicated to providing the knowledgeable, pleasant, personalized service clients expect and require for the successful completion of each of their projects. The complex regulatory and technical requirements of agrochemical registration and environmental testing require the knowledgeable, personal attention the NCL staff offers.